Everybody likes to get something without paying for it and the contentment is doubled when it’s from a firm like Apple. 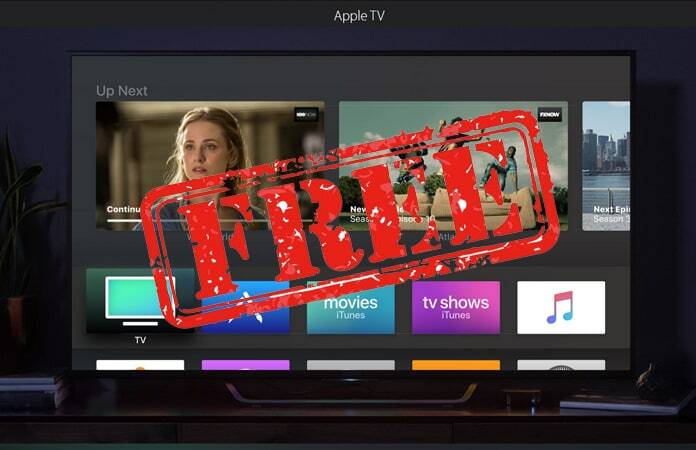 We’re going to help you get access to great free movies on Apple TV but not to get your hopes too high. These don’t immediately release latest theater flicks. But you will find classic shows such as Seinfeld, public domain flicks, documentaries, indie, international films, and much more. Check out below our list of the best apps to watch movies on Apple TV. 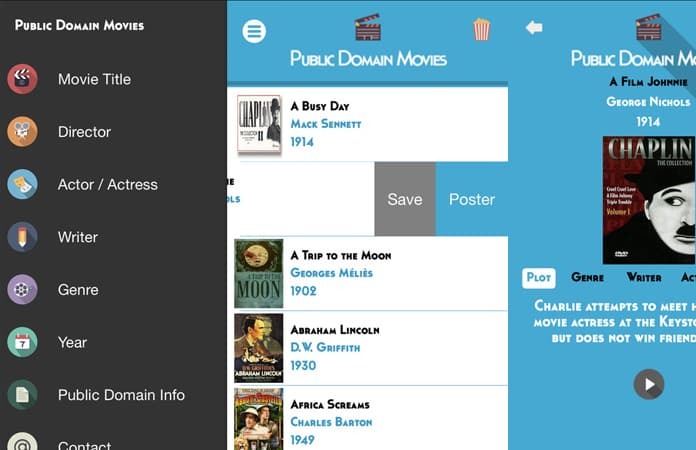 The apps mentioned below feature movies from the public domain which means that they’re free to download by the public. Additionally, apps that feature classic films don’t need to resort to money to pay for content. However, latest content released on Apple TV does require a fee. 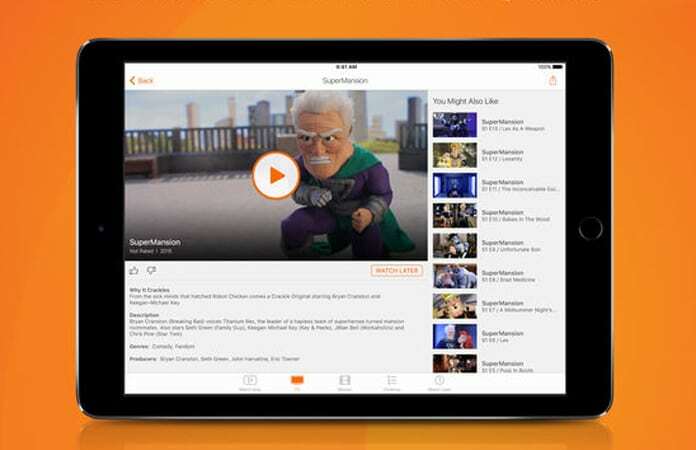 Which is why the apps below such as Crackle and Tubi TV offer superb content. But with short advertisements in between to pay for the service. What makes this app unique is that it showcases a very eclectic and peculiar collection of movies. It claims to have the largest library of films on the public domain. Meaning that they’re providing free of cost content and it would be fair to say that this should be your first stop when in the mood for a classic movie. Download this app from here. This app sports those short bursts of advertisements we mentioned earlier but the ads are much lesser as opposed to what you’d see on network TV. It’s much more suitable for modern audiences featuring some popular movies of the decade like Rudy, Ali, The Legend of Zorro, Roxanne, Birdy, The Net, The China Syndrome, About Last Night, Crash and La Bamba etc. Get this app from App Store. 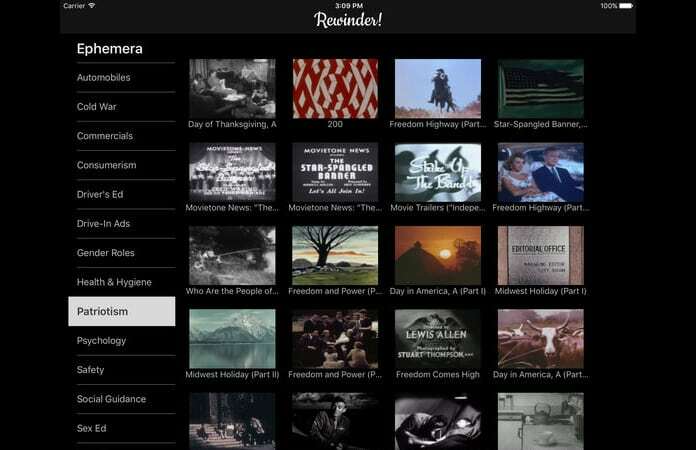 This is a great app for sifting through the true revolutionary classics like Hitchcock’s The 39 Steps, Charlie Chaplin silent movies, film noir and even cartoons. Download this app for free. You can categorize your content in this app featuring international and national channels by choosing your country. 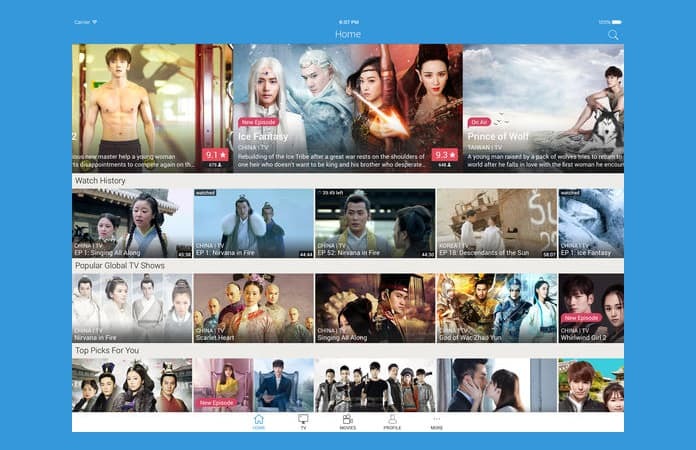 Although Viki itself has more content related to China, Korea, Japan, and India. There aren’t any advertisements as far as my own experience is concerned. Get this app from here. I personally love this app because it has over a whopping 100 movies that are in the public domain and here’s the best part. You can sort by director, actor, writer, and year, as well as by genre. That’s a game changer and makes everything so easy to search movies on Apple TV. Download this app from here. 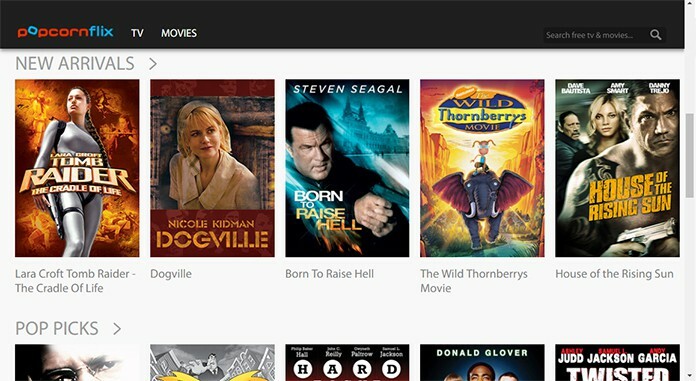 Another great app for free movies is Popcornflix. This app has full-length movies that will make you make you cry, laugh, scare, or inspire you to hug the person you love. It allows you to watch documentaries, foreign films, and unique original web series. 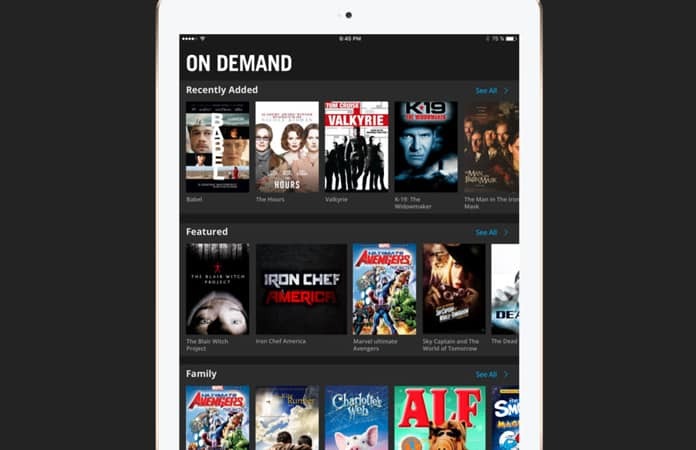 Popcornflix is the most user-friendly movie destination on iPad, iPhone, and iPod Touch. You can download this app for free here. Viewster has free anime, movies and tv shows which are ad-supported. And what makes it unique are the independent or foreign-language originals. These haven’t had a theatrical release or haven’t been shown on regular TV channels. Get this app from here. Pluto TV simulates a cable TV service. 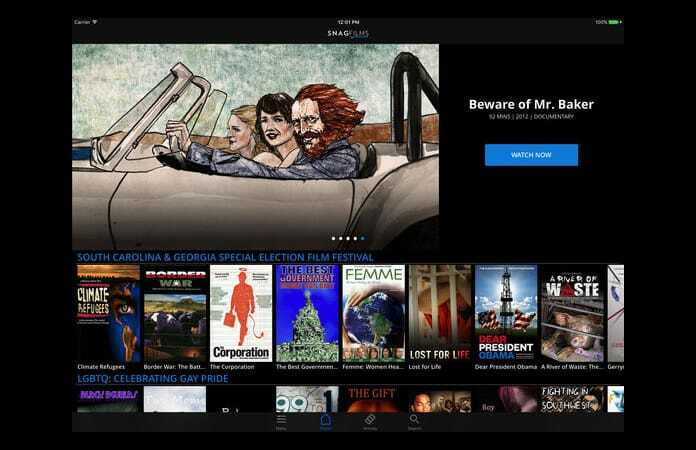 Instead of movies/shows on demand, it has a viewing guide with channels, with specific programs streaming at specific times and viewing guide is categorically organized e.g. 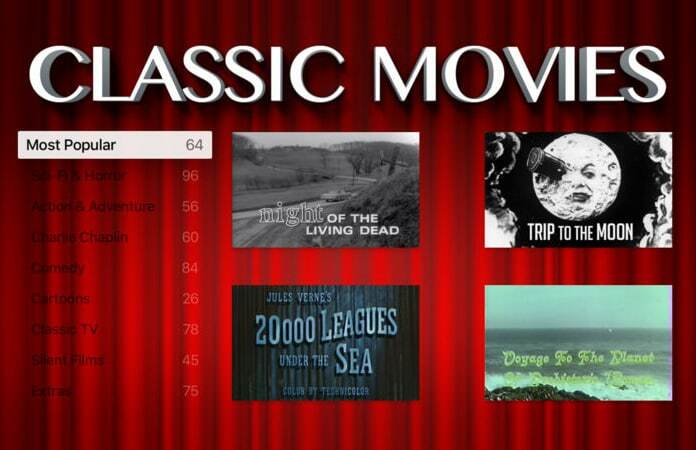 the Memory Lane category including channels like Drive-In Movies, Classic Movies etc. Download this app for free. 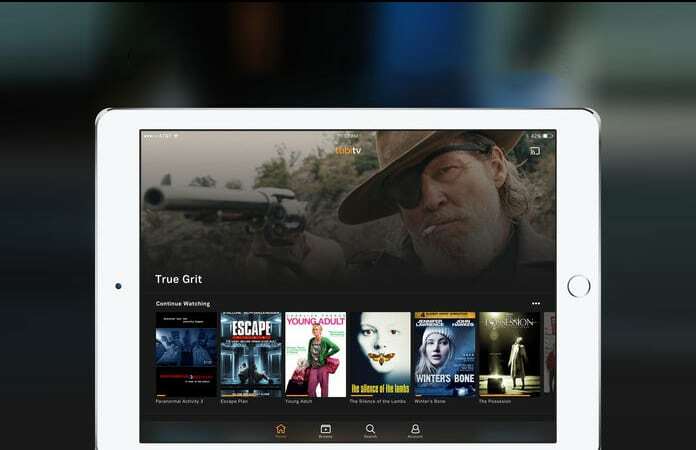 It has been awarded the “Best iPad Video App” by the Huffington Post and has more than 5000 independent movies, TV shows and documentaries you can stream. Get this app from App Store. 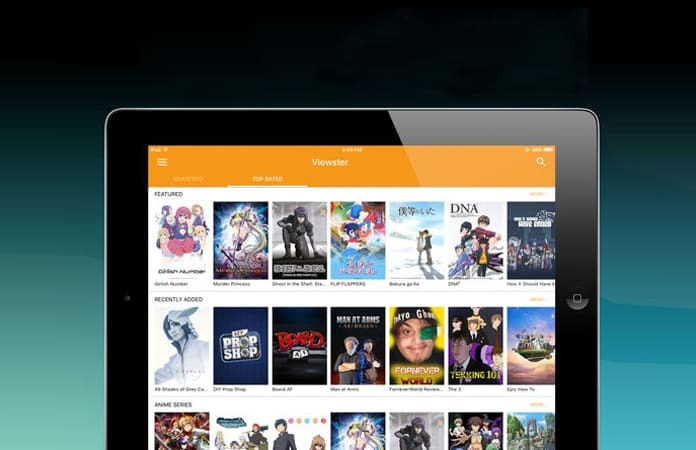 Tubi TV streams new anime the day after it’s released in Japan so that’s great news for anime lovers and it has surprisingly latest movies on Apple TV for an app. Get this app from here.